Powder: contact with water liberates extremely flammable gases. The conditions of restrictions according to Article 67 and Annex XVII of the Regulation (EC) No. 1907/2006 (REACH) for the manufacturing, placing on the market and use must be observed. American Elements specializes in producing Praseodymium Plates in various thicknesses and sizes. Most plates are cast for use in coating and thin film Chemical Vapor Deposition (CVD) and Physical Vapor Deposition (PVD) processes including Thermal and Electron Beam (E-Beam) Evaporation, Low Temperature Organic Evaporation, Atomic Layer Deposition (ALD), Organometallic and Chemical Vapor Deposition (MOCVD) for specific applications such as fuel cells and solar energy. Thicknesses start at 0.25" for all metals. Materials are produced using crystallization, solid state and other ultra high purification processes such as sublimation. American Elements specializes in producing custom compositions for commercial and research applications and for new proprietary technologies. American Elements also casts any of the rare earth metals and most other advanced materials into rod, bar, or plate form, as well as other machined shapes and through other processes such as nanoparticles and in the form of solutions and organometallics. We also produce Praseodymium as rods, powder and plates. Other shapes are available by request. 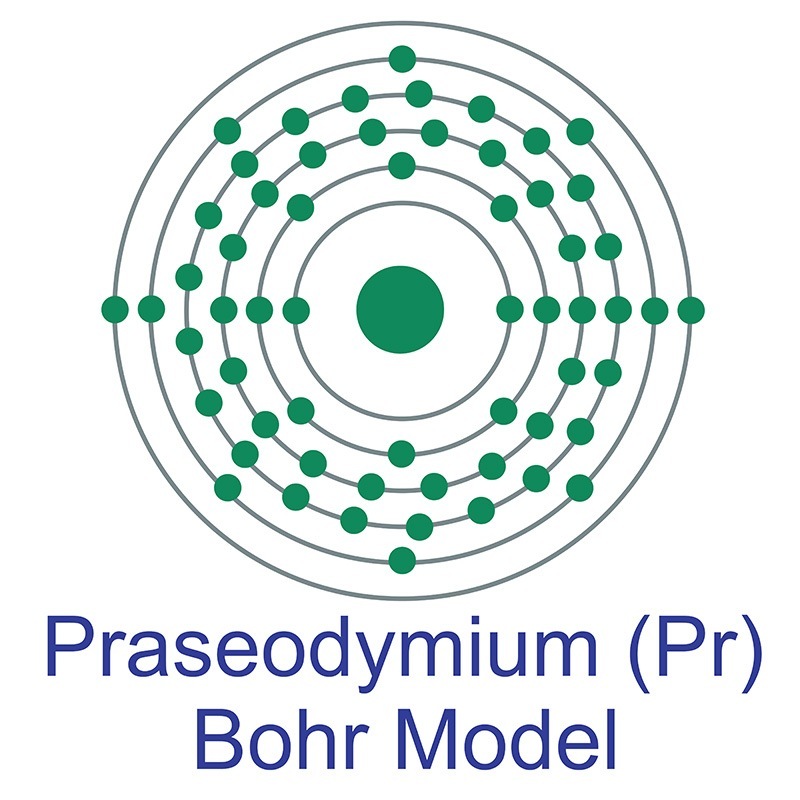 Synthesis, structure, and polymorphic transitions of praseodymium(III) and neodymium(III) borohydride, Pr(BH) and Nd(BH). Electron Transfer Dissociation Mass Spectrometry of Acidic Phosphorylated Peptides Cationized with Trivalent Praseodymium. Improving Thermal Stability of Solution-Processed Indium Zinc Oxide Thin-Film Transistors by Praseodymium Oxide Doping. Bare and nonionic surfactant-functionalized praseodymium oxide nanoparticles: Toxicological studies. Luminescence and structural characterization on praseodymium (Pr3+) doped potassium bromide (KBr) single crystals. Biosorption of praseodymium (III) using Terminalia arjuna bark powder in batch systems: isotherm and kinetic studies.